Originally an HBO series which ran from 1983-1987, Fraggle Rock centered around a group of tiny creatures called Fraggles, along with the even smaller Doozers who lived among them. 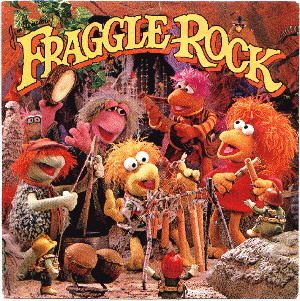 The Fraggles and the Doozers lived in a series of caves called Fraggle Rock, and would only venture outside of it to gather radishes to eat, where they would have to avoid the giant Gorgs. That and get advice from a matronly trash heap named Marjory, and occasionally interact with the human (and his dog) who lives above them all. Trust us, none of this even begins to capture the magic that went into making this show and the magic that viewers took away from it. This new live-action feature film version is being created by the Jim Henson Company and released by New Regency. (Hmm, not by Disney, eh?) No word yet on a targeted released date, but you can bet you’ll be hearing more about it soon.